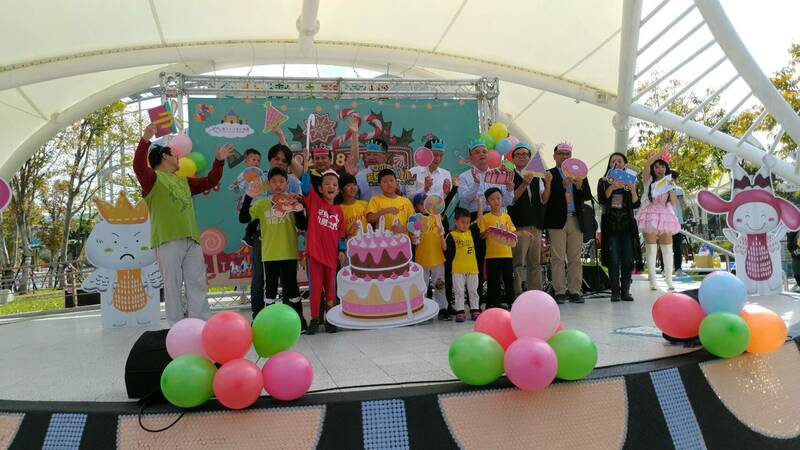 The month of December marks the anniversary of Taipei Children Amusement Park in the midst of the Christmas Season. For 2018, the celebrations for the 4th anniversary of the facility will take place on December 16. For the event, Taipei Rapid Transit Corporation (TRTC) has decorated the premise of the amusement park with a 5-meter-tall Christmas tree to herald in the holiday season. As a bonus, visitors with birthdays in the month of December will receive free admission during the event dates when they produce IDs with the information. During the anniversary celebration, the first 200 visitors to purchase the 1-day ticket will also receive a limited version special souvenir. Those who purchase show tickets at the Ifkids Theater can enjoy a 50-percent discount (only 1 discount opportunity for each 1-day ticket). In addition, there is also a “Green + Red” stamp rally inside the park. Customers who spend more than NT$99 at any of the shops with the red Christmas tree sticker and board any one of the rides with the green Christmas tree sticker (remember to collect a stamp after the ride) can take part in the raffle event by bringing the uniformed invoice and the stamp to the event desk on the first floor of the park. Raffle prizes include group admission tickets, Maokong Gondola Tickets, Taipei Arena weekday skating tickets, and much more! Only 2,000 raffle chances are available each day, so seize your opportunities before they’re gone! For more information, please visit the Chinese Facebook fan page of TCAP (https://www.facebook.com/tcap1216 ), Chinese website (https://www.tcap.taipei/), or call the 24-hour service hotline of TRTC (TEL: 218-12345).